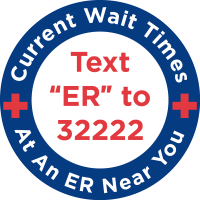 Our ER provides 24-hour emergency care to adults and children within the greater Denver area. We offer a wide range of immediate medical services, including heart attack and stroke treatment. If you feel like your life is in danger, call 911 immediately. Sometimes it can be hard to tell if you need to go to the emergency room or go to an urgent care area. While walk-in clinics or urgent care locations are excellent for treating everyday injuries and sickness, the nearest emergency room can treat everything from severe fever to allergic reactions. Our emergency room is always open 24/7; giving patients convenient access to high-quality care. If you or a loved one is experiencing one of the above symptoms or is suffering from a life-threatening condition, do not hesitate. Go to your nearest emergency room so board-certified doctors can take care of your medical needs. Our 24-hour dedicated room is conveniently located within Presbyterian/St. Luke's Medical Center. Our location is one of five children's emergency rooms in partnership with Rocky Mountain Children's Hospital. Our pediatricians offer 24/7 care when your child needs it most. When your doctor's office is closed, our Nurse Advice Line can answer your questions. If you are in the Denver Metro Area, call us at (303) 563-3300 or if you are outside of Denver, call us at (877) 647-7440. For medical emergencies, always call 911.